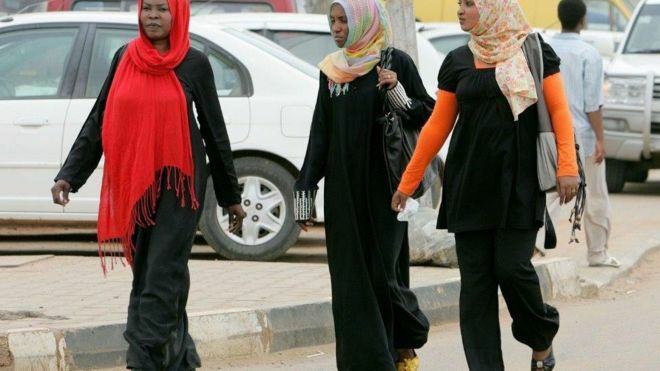 Twenty-four women have been charged with indecency after being caught wearing trousers at a party near the Sudanese capital Khartoum. The women could face punishment of 40 lashes and a fine for wearing what is described as an obscene outfit. Campaigner Amira Osman told Netherlands-based Radio Dabanga the public order act violated women’s rights. “The party took place in a closed hall in a building in El Mamoura [south of Khartoum],” she said. The law – Article 152 of the Criminal Code – applies to “indecent acts” in public, wearing an “obscene outfit” or “causing an annoyance to public feelings”.